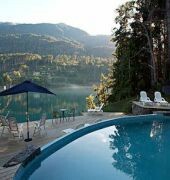 Situated near the beach in Villa La Angostura, this spa hotel is close to Los Arrayanes National Park. 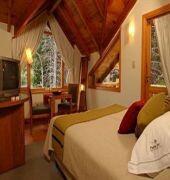 Nearby attractions also include Villa La Angostura Ski Resort. Pool, fitness facility At Hosteria Puerto Sur recreational amenities include an indoor pool and an outdoor pool. The hotel also features a concierge desk and an arcade/game room. 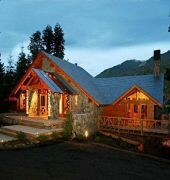 Balconies, lake views Guestrooms open to balconies with lake, mountain or garden views and feature jetted bathtubs. Other amenities include private spa tubs and refrigerators.